Welcome, welcome. Please come in and join me for a wonderful cup of tea and delicious scones. Or maybe a cucumber sandwich? Are you sitting nice and comfortable? I am very excited to be here to celebrate my upcoming release of Danger by Dalliance with you and this Steampunk Revelry! Danger by Dalliance is the sequel to Rescue by Ruin, but either book can be read independently. 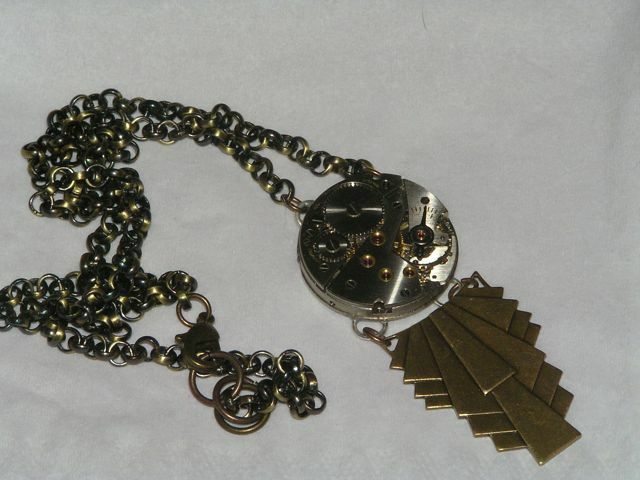 To mark the occasion I am giving away a Deco Steampunk Necklace. The contest runs from April 12th 2014 to April 16th 2014 at 12am. The contest is open to everyone as I will ship to anywhere that has postal service. Here is how you can win and each of these is one entry, so the more you do, the more entries you collect;). 1) Share the contest on Twitter and tag @TinaChristopher. You can do this daily and each tweet will count as an entry. Please don’t forget to tag me otherwise I won’t know about the tweet. 4) Comment here on the blog and share with me the last steampunk book you’ve loved. Enjoyed the blurb of your book. My last steampunk novel was Gossamer Wings which I really thought was wonderful. I have Scarlet Devices, book 2 of the series, up to be read next. The necklace is lovely! Thanks for the contest. Thanks for sharing, Liz. Gossamer WIngs looks fabulous. I’ll be adding it to my To Read list;). The blurb looks AWESOME, When does it come out? Thanks for the cool contest! Thank you for sharing, Mina. I hope you enjoyed Rescue by Ruin;). I am adding Capes & Clockworks to my list. Danger by Dalliance came out April 16th.